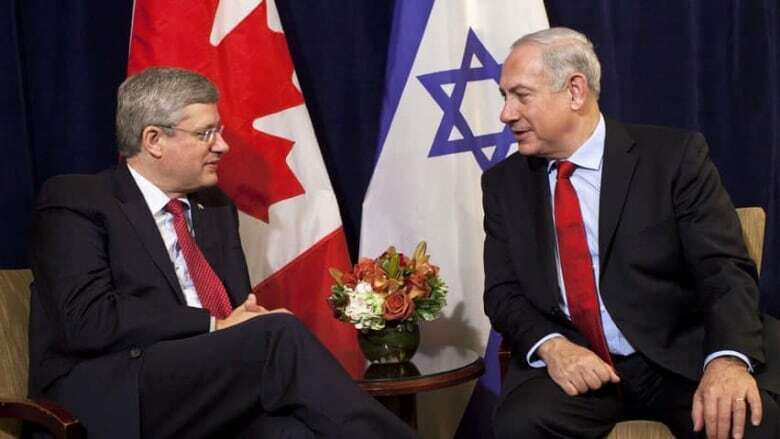 Canada is one of only six nations in the UN General Assembly to vote against a resolution that called on Israel to quickly open its nuclear program for inspection and that backed a recently cancelled conference to ban nuclear weapons from the Middle East. Canada was one of only six nations in the UN General Assembly to vote against a resolution Monday that called on Israel to quickly open its nuclear program for inspection and that backed a recently cancelled conference to ban nuclear weapons from the Middle East. All the Arab nations and Iran had planned to attend the conference in mid-December in Helsinki, Finland, but the United States announced on Nov. 23 that it wouldn't take place, citing political turmoil in the region and Iran's defiant stance on non-proliferation. Iran and some Arab nations countered that the real reason for the cancellation was Israel's refusal to attend. The resolution, approved by a vote of 174-6 with 6 abstentions, calls on Israel to join the Nuclear Nonproliferation Treaty "without further delay" and open its nuclear facilities to inspection by the International Atomic Energy Agency. Those voting "no" were Canada, Israel, the U.S., Marshall Islands, Micronesia and Palau. Almost everybody voted in favour of two paragraphs within the resolution that were put to separate votes. Both support universal adherence to the NPT, and call on those countries that aren't parties to ratify it "at the earliest date." The only "no" votes on those paragraphs were Israel and India. The vote comes less than a week after Canada was one of nine countries, including the U.S. and Israel, to oppose upgrading the UN observer status of the Palestinian Authority from "entity" to "non-member state." Canada also stood apart Monday from some major allies, the U.S. included, in refusing to condemn Israeli plans for new settlements in areas claimed by the Palestinians, only saying, "Unilateral actions on either side do not advance the peace process."